NEW! 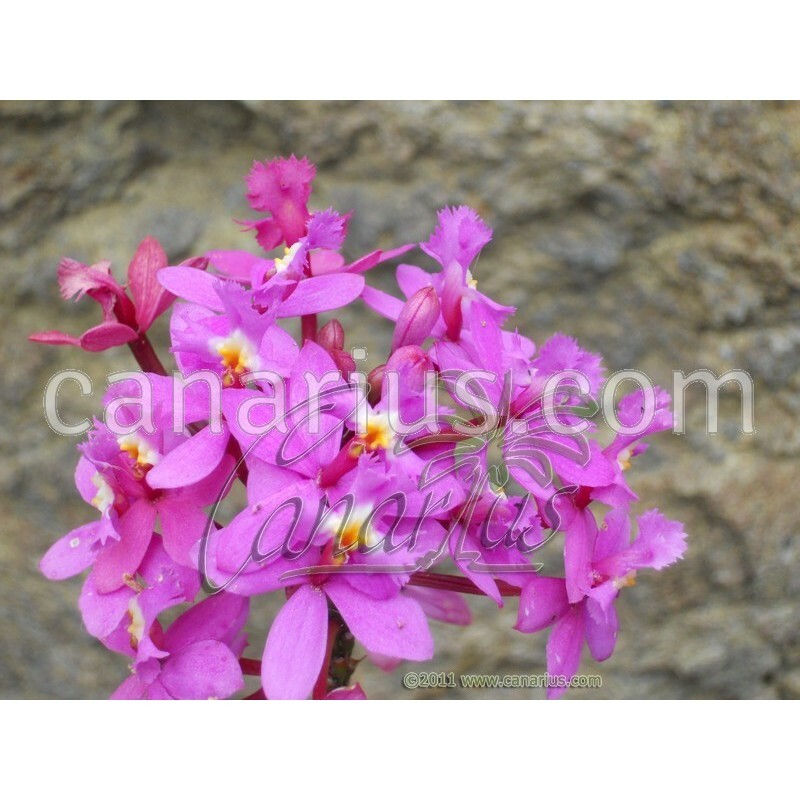 10 cm Cutting - Pink- flowered selection of an excellent freely-blooming orchid. We offer small adult plants that can bloom in less than one year. Beautiful orchid, hardy to full sun conditions and resistant to drought. It has an especially attractive growth habit and grows quickly. Dendrobium ibaguense is a member of the orchid group called reed-stem dendobiums. This orchid can tolerate temperatures down to freezing, but not below. We offer a plant of the following size: h=20 cm Cont.= 10 cm.